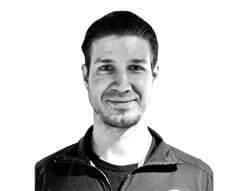 I have a Master's degree from Charles University of Prague, physical education and sport and over 8 years of experience as a PT. With my background from competitive sports and extensive experience, I can help you to improve your health, body and mind. My specialities: muscle mass gain, fat mass reduction, improving posture, functional training, nutrition.